One was a photo of cirrocumulus undulatus, taken in Coal Creek Canyon by weather observer Richard Keen. 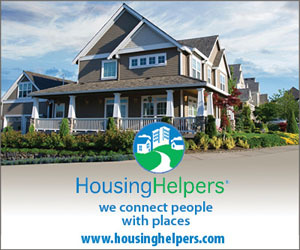 It shows dainty patches of small, puffy, ripply clouds arranged in patterns. Carlye Calvin’s gorgeous photograph of lenticular clouds at sunset was shot at the top of Boulder Canyon, near Nederland’s Barker Dam, as the clouds turned a deep, fiery orange. 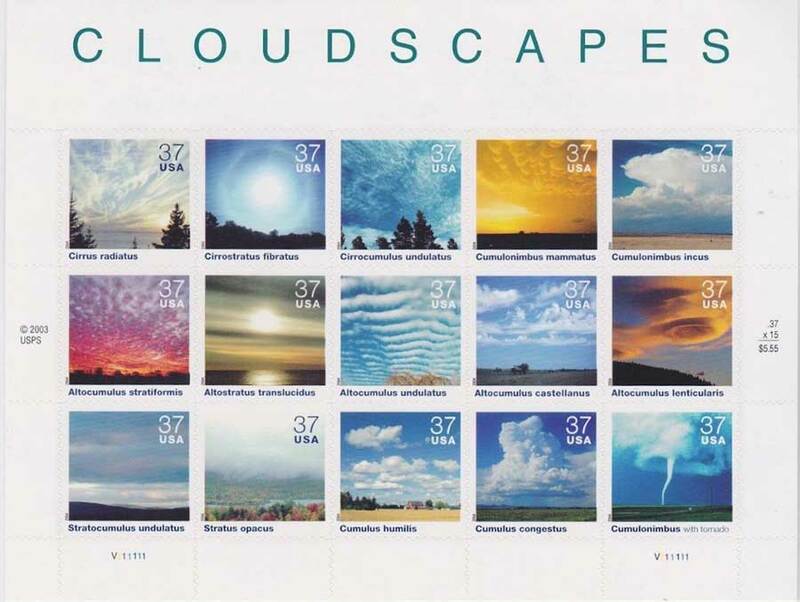 The “Cloudscapes” sheet lacked a lenticular cloud, so the Postal Service contacted Calvin, a storm chaser and NCAR photographer who was known as a cloud expert. She wasn’t supposed to tell anyone until it was published. For three long years she kept her secret from everyone except her husband and her father, who died before he could see the published stamp. NCAR held a cloud ceremony, and Calvin and Keen signed stamps, just like at a book signing. 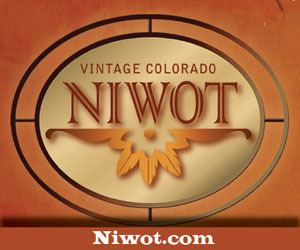 Even now, 14 years later, people still remember the glorious stamps and Boulder County’s contribution. So, what makes cloud watching in Boulder County so spectacular? 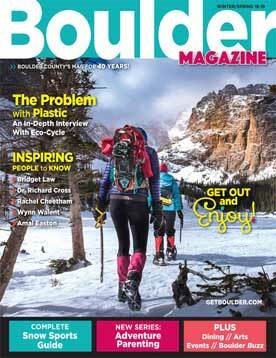 Since Boulder is home to two of the nation’s foremost weather-research agencies, we posed the question to Margaret LeMone at NCAR (National Center for Atmospheric Research) and John McGinley of NOAA (National Oceanic and Atmospheric Administration). LeMone, author of The Stories Clouds Tell Us and senior scientist emerita at NCAR, says the No. 1 reason cloud watching is good here is that we can see the clouds. The air is dry and clear, and the cloud base is high. The second reason for spectacular clouds is our mountains. Clouds form as air on the ground rises and cools, and the dryer the air, the higher it has to rise before it condenses and forms the tiny liquid droplets that are visible as clouds. When the cloud base is higher, it’s easier to see the clouds in all their fantastic permutations. Here are several types of clouds to look for that are not often found elsewhere. 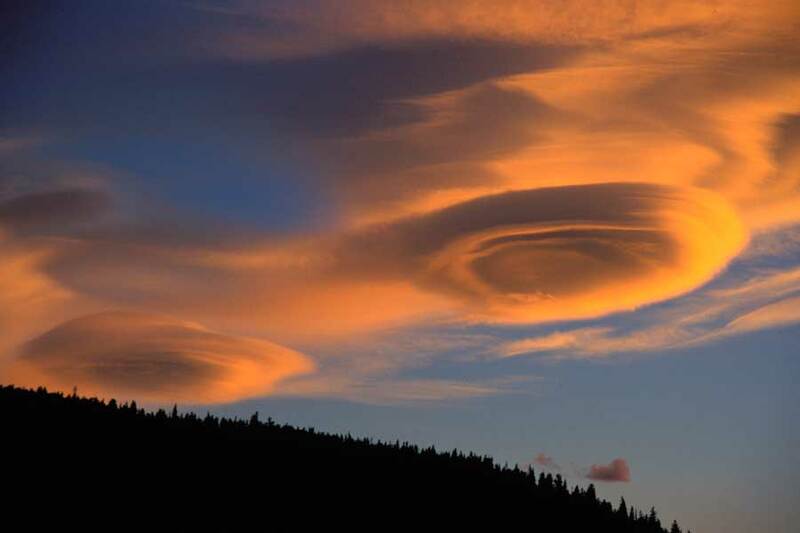 Lenticular clouds make flattened, lens-like shapes that also can look like saucers, which is why they have sometimes been mistaken for UFOs. They are associated with strong downslope winds, according to McGinley, a retired NOAA meteorologist, and are often “gorgeous in mornings and sunsets.” They form when air is forced up and over mountains, where it condenses and stays in one place. 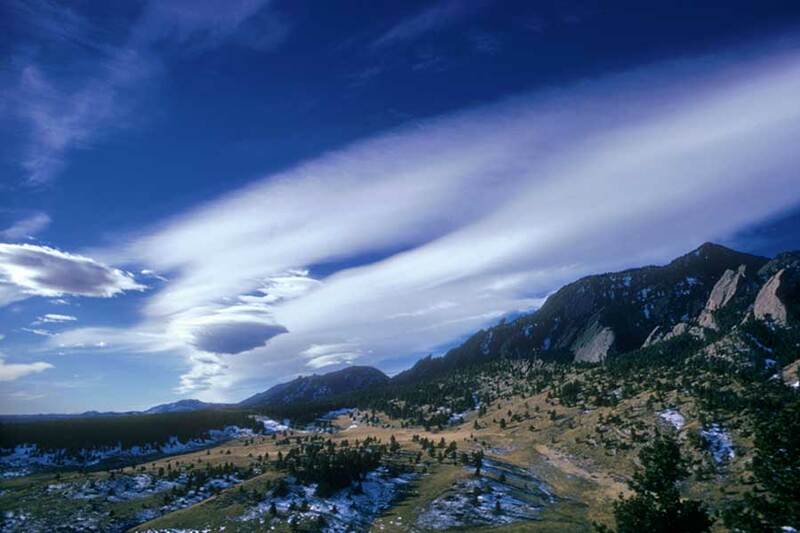 Lenticular clouds don’t move much, forming and reforming in the same place in single shapes or stacks. Sometimes they stick around for hours. Wave clouds are formed in much the same way. The wind blows perpendicular to the mountains, and air is forced to rise on the windward side and descend the leeward slopes. As the air streams down the mountainside, it can start to oscillate in a series of waves, called mountain waves. Lee wave clouds are products of air moving over mountains and down the leeward side toward the east. When two layers of air in the clouds are traveling at different speeds, the waves curl into what is called Kelvin-Helmholz or shear-gravity waves, also known as billow or coat-hanger clouds. These clouds look much like little curly waves in the ocean. Related to mountain wave clouds, long line clouds form 10 to 20 miles from the mountains. 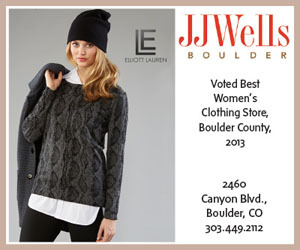 They are unique to Boulder County, McGinley says. Rotor clouds, also particular to our area, are low-level cumulus clouds associated with mountain wave clouds. They occur when air rises again and the wind reverses under the cloud. These clouds indicate severe turbulence and can be an aviation hazard. Jet aircraft flying at high altitudes often produce a trail of condensed vapor called a contrail. The mixing of hot exhaust gases from the engines with cold air causes ice crystals to form on particles in the exhaust. A contrail evaporates rapidly when the relative humidity of the surrounding air is low. If the humidity is high, a contrail may stay visible as cirrus-like clouds for many hours. This image shows a new contrail and an older one that is dispersing. 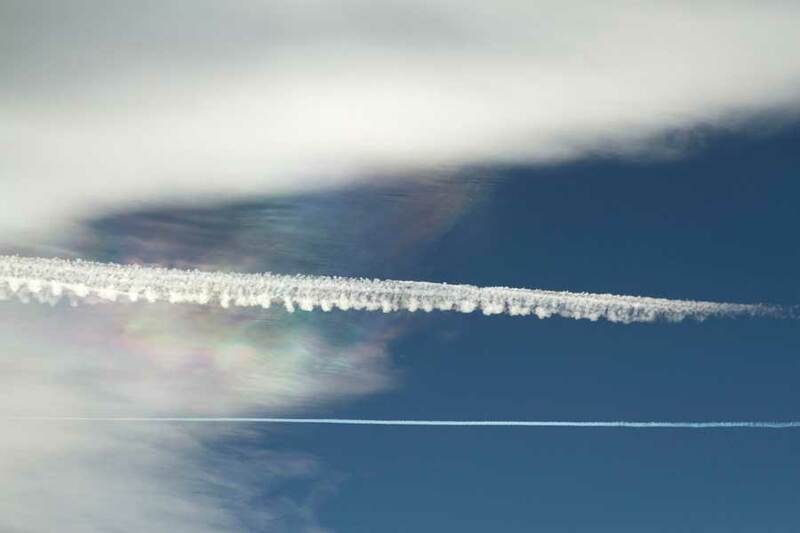 In the clouds behind the two contrails, one can observe iridescence—delicate colors that occur when sunlight is diffracted as it passes through clouds that are thin and have similar size droplets. Other amazing clouds noted by LeMone and McGinley include iridescent clouds of various types (lenticulars are good for iridescence). Although you can see iridescent clouds from the city, you also often see them when you’re flying in the mountains, or when you’re looking down from the top of a mountain. Iridescence is a diffraction phenomenon, and the colors we see are caused by the cloud’s small water droplets or small ice crystals individually scattering light. That’s why it’s usually visible along the thinner edges of clouds or in semitransparent clouds. Clouds in the eastern part of the county are pretty spectacular, too. Because of our clear skies and high cloud bases, thunderstorm clouds are amazing, Calvin says. 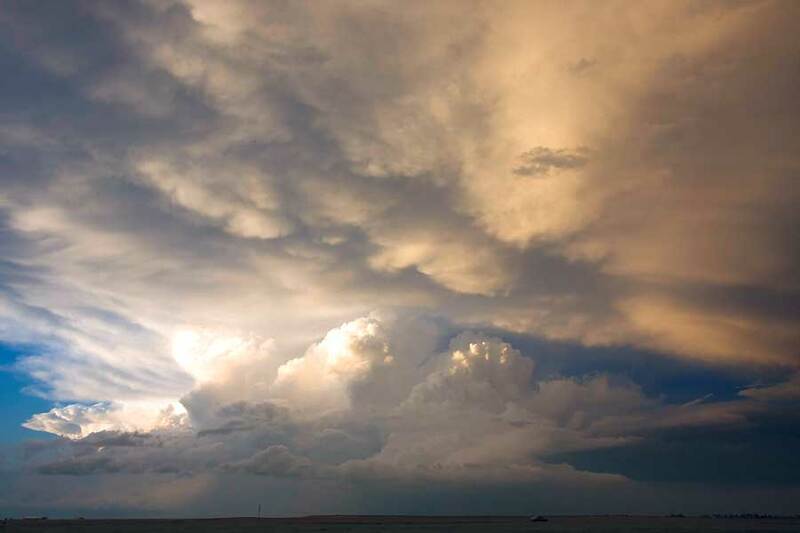 They include the cumulonimbus anvil clouds and the mammatus clouds that form under the horn of the anvil. And “some of the coolest clouds are wedding-cake clouds,” says Calvin. 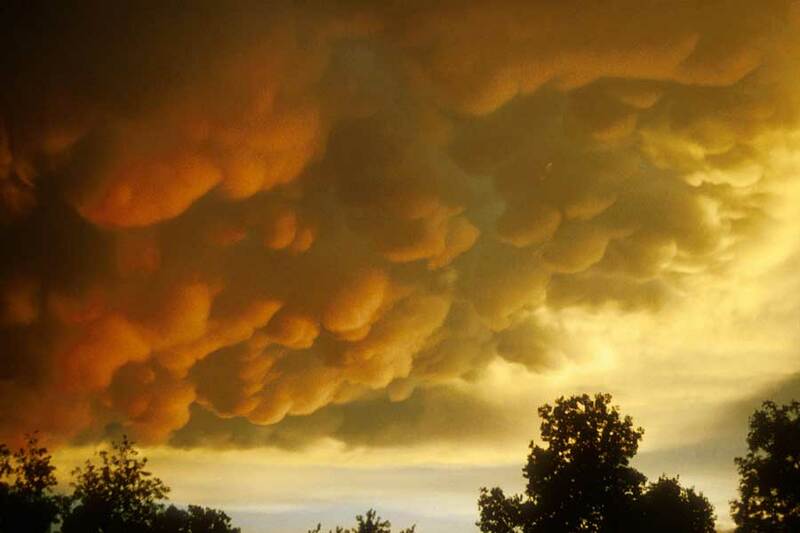 These are the layered clouds that form after a thunderstorm. Among LeMone’s favorites are the lines that form in the wake of aircraft flying overhead. “The contrails around here are incredible,” she says. “The way they evolve varies, and it’s sometimes affected by the mountains.” Contrails, short for condensation trails, form behind jets in the very cold air around 30,000 to 40,000 feet. When the air is dry, you can see only a short tail coming out of the back of the plane; as the plane gains altitude, its contrail becomes more visible. Contrails can reveal air motions and other atmospheric processes, just like other clouds. Whatever your favorite cloud, cloud watching in Boulder County is incredible any time of the day or year. All you have to do is look up.